"My idea of heaven is a great big baked potato and someone to share it with." Yes, that is a real sweet potato. And yes, the Ogre and I will be enjoying it together, most likely drenched in cinnamon butter. OMG - I did not recognize it at first as a sweet potato - hahaha - awesome! Hope you enjoyed! Isn't it fun when you pull out a potato and it has a distinct shape? Yours is too cute! Quack quack! That is one yummy looking duck! Oh wow, that's pretty neat! Great imagination, great caption, great shot. Wow! This is amazing. Thanks for hosting. How cute! What a fun sweet potato! haha that sounds yum with cinnamon butter! That's a great look a like catch on your part. I love how you photographed it - placing it in the grass to help the 'duck' illusion. Brilliant!! wow! That's awesome!! Great pick! It really does!! How funny! You know what, I am not a fan of the old Sweet Potato... I just don't get the hype about them!! But a great photo all the same! I love sweet potato and have been known to each far to much of it far too often! Interesting photo of something very familiar. That just quacks me up. Sweet potato fries was the subject at lunch on Monday. Hope the duck was delicious! Fun photo. Funny! I love how you photographed this! Too funny! Sweet potato sculpture art. Hope you have a great Wednesday! It's hard to eat cool stuff like that. That is too awesome! 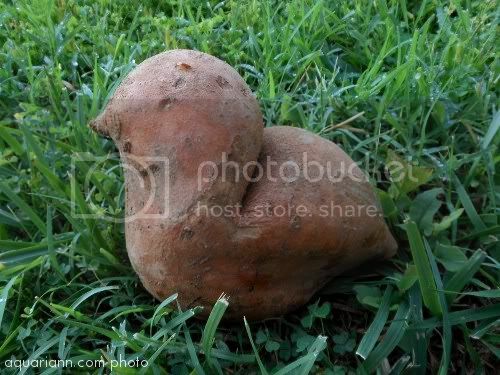 I love ducks AND sweet potatoes. Thanks for a great link up as always. That's so cute. I love sweet potatoes with extra butter, cinnamon, brown sugar, allspice and nutmeg. It's like dessert! Does anyone else see the heart shape to the potato? It's definitely a happy food! Thanks for dropping by my blog! That totally does look like a duck! How funny!